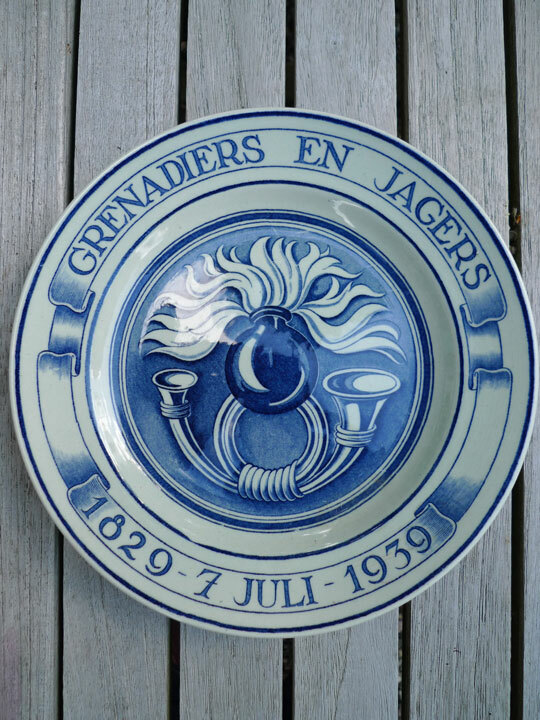 Dutch Grenadiers and Jagers Memorial plate 1829 - 7 JULI- 1939. This blue on white ceramic plate was hand out to al Jagers and Grenadiers during the 110th anniversery of the regiment. It shows the flaming grenate of the Grenadier Regimet and the Hunters horn of the Regeiment jagers. This was done by former minister Deckers in kamp Waalsdorp on the 10th of July.